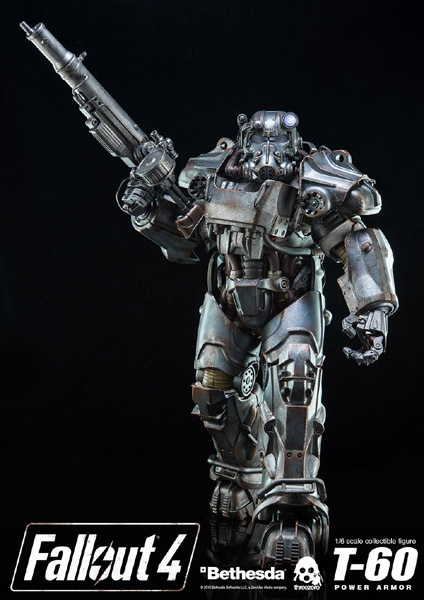 Exclusive Atom Cats Version, which comes with blond female head and with Fat Man (comes with Mini Nuke) as an additional weapon. This Exclusive Atom Cats Version will be available at www.threezerostore.com for 398USD/3096HKD with Worldwide Shipping included in the price. This version will be also available at Bethesda Store – store.bethsoft.com , Bethesda Store price doesn't include shipping. 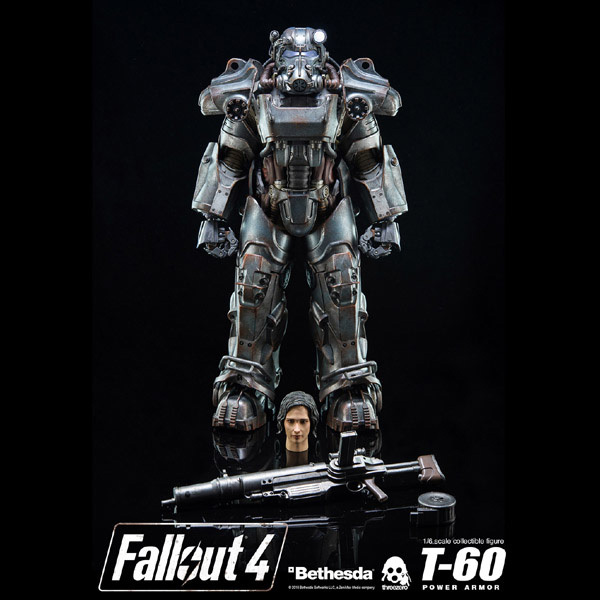 Exclusive Atom Cats Version, which comes with blond female head and with Fat Man (comes with Mini Nuke) as an additional weapon. This Exclusive Atom Cats Version will be available at www.threezerostore.com for 398USD/3096HKD with Worldwide Shipping included in the price. 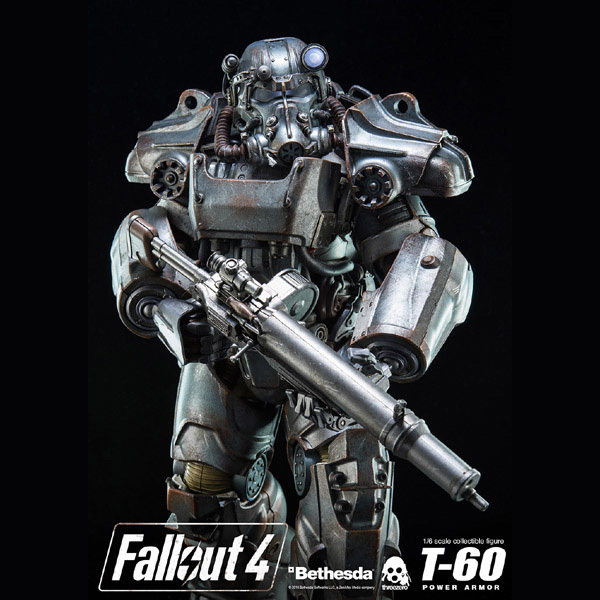 This version will be also available at Bethesda Store – store.bethsoft.com , Bethesda Store price doesn’t include shipping. Retail version, which will be offered at our store for 380USD/2956HKD with Worldwide Shipping included in the price. 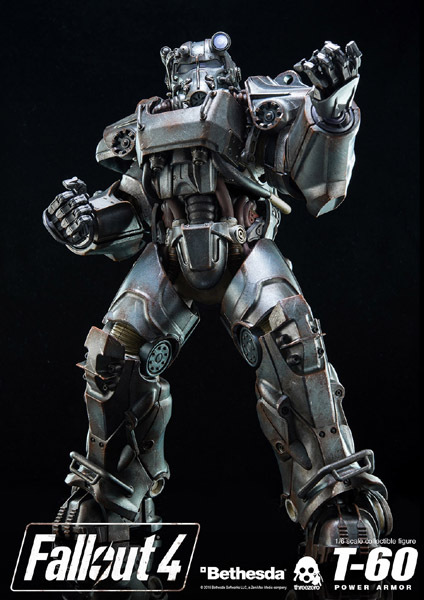 Collectible figure stands 14.5” (36.8 cm) tall and features over 35 points of articulation (including articulated fingers). 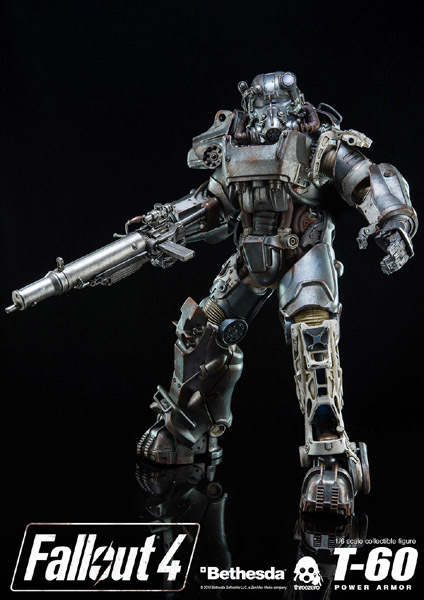 Figure comes with highly detailed and exchangeable female head, helmet (which features a light-up LED function) and Assault Rifle with two exchangeable magazines and removable scope. 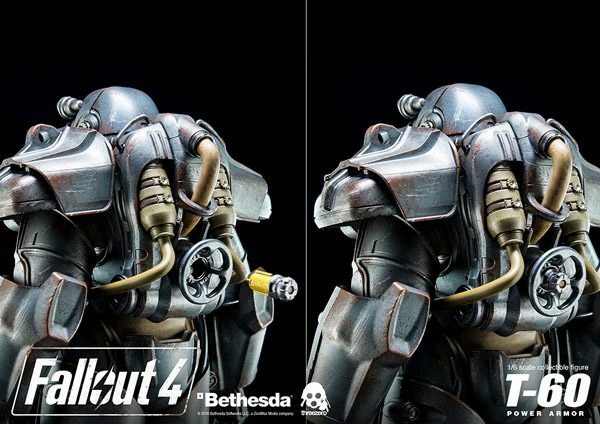 All outer-armor pieces are detachable and interchangeable with upcoming FO4 Power Armor figures. 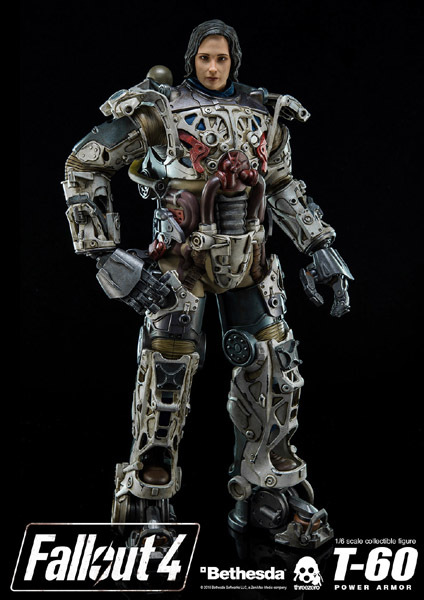 Under the detachable outer-armor, you will find endoskeleton with amazing attention to every detail. 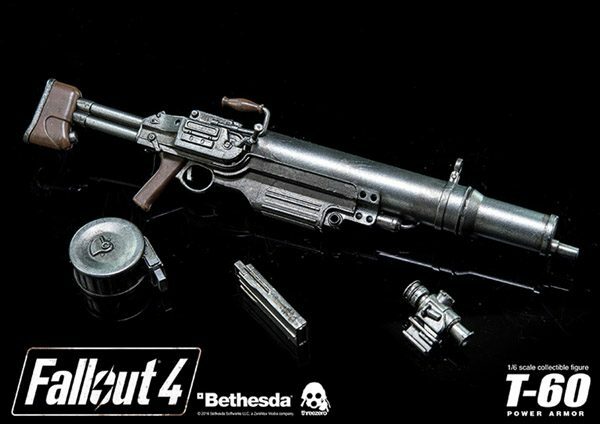 -Includes highly detailed weapon Assault Rifle with two exchangeable magazine and removable scope. Requires: 3 X AG1 Button Cell Batteries for light-up LED function (Batteries Not Included). Excellent figure. It only loses one star because the figure cannot hold the included gun properly. Thanks for your support and comment. So please send a new one for me please.